Tennessee orthopaedic surgeon, Allen F. Anderson, MD was posthumously inducted into the American Orthopaedic Society for Sports Medicine’s (AOSSM) Hall of Fame on Friday, July 6, during the Society’s Annual Meeting in San Diego, CA. AOSSM Hall of Famers are individuals who have made a substantial contribution to the sports medicine field. Tennessee orthopaedic surgeon, Allen F. Anderson, MD was posthumously inducted into the American Orthopaedic Society for Sports Medicine’s (AOSSM) Hall of Fame on Friday, July 6, during the Society’s Annual Meeting in San Diego, CA. AOSSM Hall of Famers are individuals who have made a substantial contribution to the sports medicine field. It is one of the Society’s highest honors. Dr. Anderson tragically passed away on his farm in November 2017. Dr. Anderson was a 1976 graduate of the University of Tennessee, College of Medicine and completed his residency in orthopaedics at Vanderbilt University. Dr. Anderson was a specialist in sports medicine with a keen interest in knee injury and ligament reconstruction. 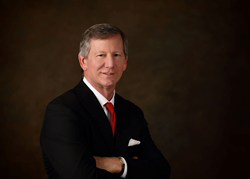 Dr. Anderson had worked as an orthopaedic surgeon with the Tennessee Orthopaedic Alliance (TOA) in Nashville since 1996, performing more than 20,000 surgeries and helping innumerable patients during his career. He published more than 100 scientific manuscripts in peer review journals and 26 book chapters. He had 21 scientific exhibits at national and international meetings, numerous national and international presentations, and 75 instructional course lectures. He also received a patent for the invention of a pediatric ACL reconstruction system. In addition, he had a deep passion for teaching which led him to visit many countries around the world. He served as Associate Editor of the American Journal of Sports Medicine, and The Orthopaedic Journal of Sports Medicine. He was a member of the AOSSM Medical Publishing Board of Trustees and Board of Directors and served on the Board of Directors of the Canby Robinson Society at Vanderbilt University and the Board of Directors of the International Cartilage Repair Society. Dr. Anderson was chairman of the International Knee Documentation Committee, which set standards for orthopaedic surgeons around the world to use to evaluate the results of treatment. He was also a chairman of AOSSM’s Research Scientific Advisory Committee, which assisted sports medicine physicians in conducting scientific research in the United States. He served as a member of the Executive Committee of the Herodicus Society from 2013-2014 and was elected to the Board of Directors of the International Society of Arthroscopy, Knee Surgery and Orthopedic Sports Medicine (ISAKOS) in 2015. In addition, he served as the “Godfather” for the AOSSM/APKASS Traveling Fellowship to the Pacific Rim in 2013.